Thoughts: "I searched, I applied, I interviewed, and I finally got my summer internship. Now all I have to do is wait a couple of weeks until my internship is ready to start." Wrong! One thing all students should consider before even starting their summer internship is "what do I need to do to become a successful intern?" Getting an internship is just the beginning, and it isn’t the most important part of the internship process. Sure it may have been tough finding an internship and getting an offer, but the truth is that the value of doing an internship is based mainly on how you decide to handle the internship based on what you have to offer. That’s right; the burden is on you to make the internship successful and to perhaps even turn your internship into a full-time job. So, you’ve landed your internship, and it starts in a couple of weeks. What now? Well, have you thought about what you can do to research the industry and find out more about the company? Going into an internship with ideas on how you can help the company make changes or be more competitive will go a long way to having the company view you as a professional rather than a summer intern. 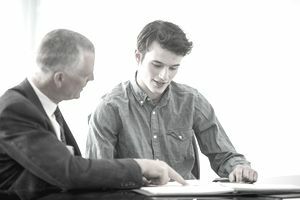 College students often provide companies with the know-how and technological knowledge that some of their most respected and long-term employees lack. To become even more valuable to your company, be willing to teach co-workers some little tricks of the trade when it comes to using technology to create professional presentations or for better marketing of the company’s product or service using all of the social media tools that are available. It is a must if you want to get ahead. Impressing your supervisor from the get-go will set you up for more interesting and varied projects since you will be seen as a valuable member of the team from the very beginning of your internship. Read press releases about the company as well as its competitors. What new trends are coming up in the field? How is your company positioned to make headway with these new trends? Are there ways that you can help the company become more established online using things like Facebook, Twitter, LinkedIn, Pinterest, Google Plus+, Digg, YouTube, plus many more that are more specific to certain niche markets. Take time to review and learn about the company, its products and services, and the employees who currently work there. Check out current employees LinkedIn Profiles so that when you begin your internship, you’ll feel that you already know your supervisors and co-workers. Be prepared on your first day to go around and meet people and introduce yourself. Taking the initiative to meet your co-workers will help set a good tone for your ability to establish personal and professional relationships. Finding a good mentor can be enormously helpful to you during your internship. Not only will you learn the tricks of the trade quicker, but you will also learn about what goes on behind the scenes and have a better understanding of the office politics. Having this knowledge beforehand can help you avoid certain hot spots and better know what you need to know to move ahead in the company. We can’t stress enough the value of a good mentor. If you find someone within the company that you respect and that you seem to hit it off with, why not ask them if they would be willing to mentor you during your time at the company. They will probably feel honored and believe us; you will be so glad that you have someone that you feel you can trust and that you feel has your best interest at heart.